SCOTTSDALE, AZ, USA, November 30, 2017 – Global Mobility Solutions, the industry leader in corporate relocation services and technology, is pleased to announce it has won two MRINetwork Awards for 2017 Best in Class Supplier Partner and 1st Runner Up for 2017 Supplier Partner of the Year. MRINetwork franchise owners rate vendors in a survey and the scores are used to determine award winners. Global Mobility Solutions received the awards at MRINework’s 2017 General Session Annual Vendor Partner Awards Ceremony, held this year in Schaumburg, IL on October 27, 2017. For more information about Global Mobility Solutions, please visit gmsmobility.com. Founded in 1965, MRINetwork has grown into one of the largest and most successful recruitment organizations in the world. With a full range of Permanent Placement options ranging from retained or contingency search to contract staffing and large scale project solutions, it gives the flexibility you want at the pace you demand. MRINetwork is a division of CDI Corp. Founded in 1987, Global Mobility Solutions is a global corporate relocation services company that specializes in workforce mobility. 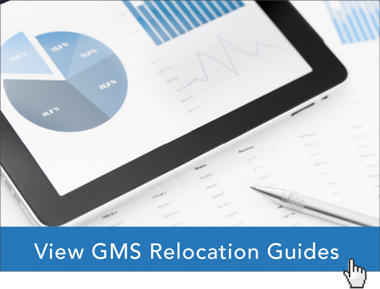 The company’s corporate relocation programs include global assignment management, domestic relocation management, and a range of pre-decision services. Global Mobility Solutions is a perennial winner of the HRO Today “Baker’s Dozen” customer satisfaction survey, being recognized as a top relocation company for the last four consecutive years. Global Mobility Solutions™ and the Global Mobility Solutions logo are trademarks of Global Mobility Solutions, Scottsdale, AZ, USA.